Happy New Year! Time to preview a deceptively decent month of programming from Turner Classic Movies. TCM’s Star of the Month for January is Robert Redford. The Friday Night Spotlight is on the films of Neil Simon. What do you think, too recent? My first thought was that this felt more like mid-1980s HBO than the TCM I know and love, but I’ll leave my old movies versus classic movies argument right there. Plenty of oldie gems tucked throughout January to keep me satisfied, especially very late at night or obscenely early in the morning. I wager more than there will be in February, at least. I’ve been waiting for TCM to play some of the movies I covered in my pre-Code eBook ever since I published it back in September. They do this month and not just one of my selections, but three! This includes two of my all-time favorites from the era, Employees’ Entrance (1933) and Hell’s Highway (1932), along with another goodie that I’m a little less fanatical about, For the Defense (1930). I'll give you a little bit more about each of those three below. In addition to the type of preview I've been running the past few months, I've added a new "Quick Picks" section at the very bottom to essentially namecheck some additional titles that I've enjoyed in the past. Multiple offerings of these stars and themes of interest. 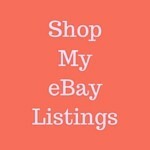 Daytime refers to any titles falling between 6:00 am—8:00 pm Eastern, while evening takes care of the rest. Monday, January 5, daytime: Lew Ayres, 9 movies beginning at 5 am and including Holiday (1938) at 3 pm and finishing with Young Dr. Kildare (1938) at 6:30 pm. Monday, January 5, evening: Jean Arthur, 5 movies beginning with Mr. Deeds Goes to Town (1936) at 8 pm Eastern, followed by: The More the Merrier (1943), You Can’t Take It With You (1938), Mr. Smith Goes to Washington (1939), and History Is Made at Night (1937). Tuesday, January 6, daytime: Loretta Young (1913-2000) birthday schedule of 10 movies, 6:15 am-8 pm. The first 9 of these 10 are pre-Code entries dated 1930-1933 highlighted by Taxi! (1932) at 11:45 am, Employees’ Entrance (1933) at 3:30 pm, and Heroes for Sale (1933) at 5, though Loretta really takes a back seat to her male co-stars in those last two. Monday, January 12, daytime: Luise Rainer (1910-2014) birthday schedule of 7 movies, plus TCM Classic Film Festival interview with Robert Osborne. Schedule intended as celebration of Rainer’s 105th birthday has regretfully turned into memorial programming after the two-time Academy Award winning actress died on December 30. 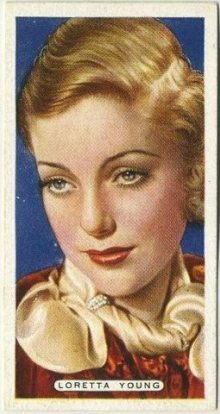 Rainer appeared in 8 films at MGM between 1935-1938 before walking out on her contract. 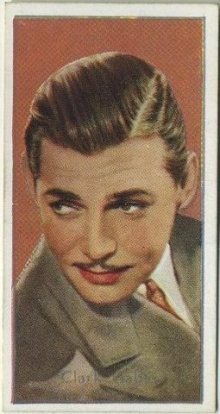 The first of those is unavailable, but TCM is playing the 7 others beginning at 6 am on the 12th with The Great Ziegfeld (1936). In case you missed it, HERE’s the obituary and remembrance of Luise Rainer I posted just a few days ago. I mention my fondness for Big City (1937) in that post--it's playing at 9 am on the 12th. January 21, daytime: Films of Michael Curtiz. 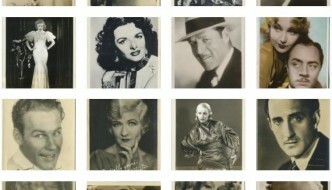 9 movies dating 1931-1946, though I’m most interested in the first four that open the day: John Barrymore and Marian Marsh in The Mad Genius (1931) at 6 am; Dorothy Mackaill in one of her more entertaining talkies in Bright Lights (1931) with Frank Fay at 7:30 am; Richard Barthelmess and Bette Davis in The Cabin in the Cotton (1932) at 8:45 am, one of Bette’s better early roles; Ruth Chatterton as a big business CEO in Female (1933) with George Brent at 10:15 am. January 22, daytime: “Green with Envy” schedule between 6:45 am and 8 pm includes several pre-Codes including Lubitsch classic Trouble in Paradise (1932) to open the day; Mae West and Cary Grant in She Done Him Wrong (1933) at 9:30 am; An underrated Warren William classic, Goodbye Again (1933), with Joan Blondell and Genevieve Tobin at 12:45 pm; John Cromwell’s This Man Is Mine (1934) with Irene Dunne, Ralph Bellamy, and Constance Cummings at 2 pm. 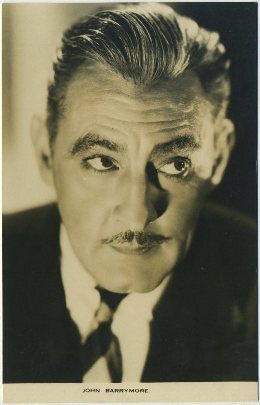 January 31, evening: John Barrymore. Four movies: Screwball comedy classic Twentieth Century (1934) with Carole Lombard at 8 pm; My pick of the evening, Counsellor at Law (1933), at 9:45 pm; Slightly off comedy Topaze (1933) with Myrna Loy at 11:15 pm; and in the creepy title role of Svengali (1931) with Marian Marsh his Trilby at 12:45 am. Sunday, January 4, 8:45 am - On Approval (1944) - A movie that should create more Clive Brook fans. Brook not only stars, but also adapted and directed this hilarious comedy of manners that also features Beatrice Lillie, Googie Withers, and Roland Culver. I posted some thoughts about this one back in 2009 after it jumped out and surprised me from my Netflix queue. Pick of the month. Tuesday, January 6, 3:30 pm - Employees’ Entrance (1933) - Already mentioned a couple of times above, but squeezing it in once more as my top pick of the month. 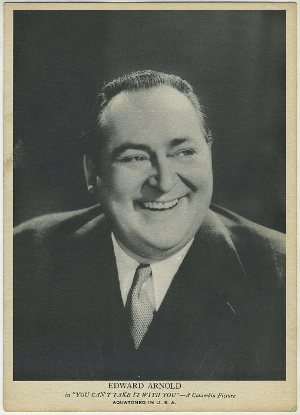 It’s simply the best catalog of Depression-era consumerism and middle class working life that I’ve yet to run into, all tied together by what I believe to be Warren William’s best performance. William’s Kurt Anderson is a more complicated anti-hero than we’re used to seeing at this time. I’ve covered the movie as a whole previously on Immortal Ephemera, and wrote a second post concentrating on William’s character HERE on Warren William.com. Wednesday, January 7, 6:00 am - Lights of New York (1928) - I hate to stick this here, as I haven’t seen it yet, but consider it my own most wanted title for January. It’s a landmark as the first all-talking feature-length film (The Jazz Singer was only part talkie). 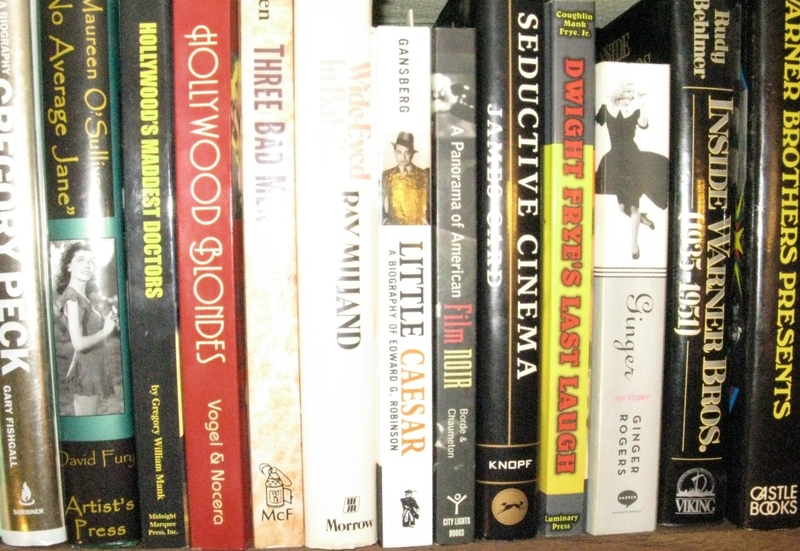 Mentioning it also gives me an excuse to link to my Hugh Herbert biography—No, the Woo Woo! 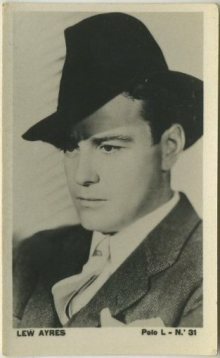 actor of the ‘30s is not in the film, but he did co-write it, earning his own little place in film history. Thursday, January 8, 4:15 am - Ah, Wilderness! (1935) - Strong adaptation of Eugene O’Neill play with a cast that almost seems a prototype for the coming Hardy family series. 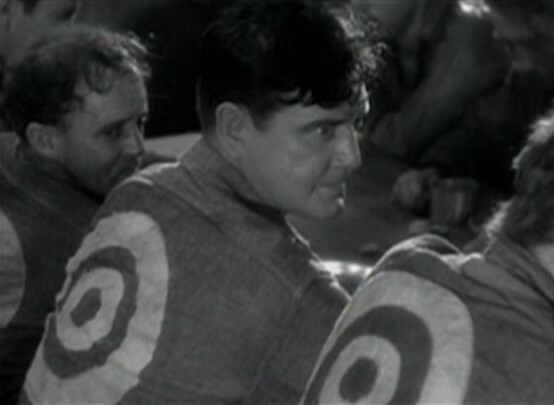 Plus Wallace Beery. Directed by Clarence Brown. Well done. 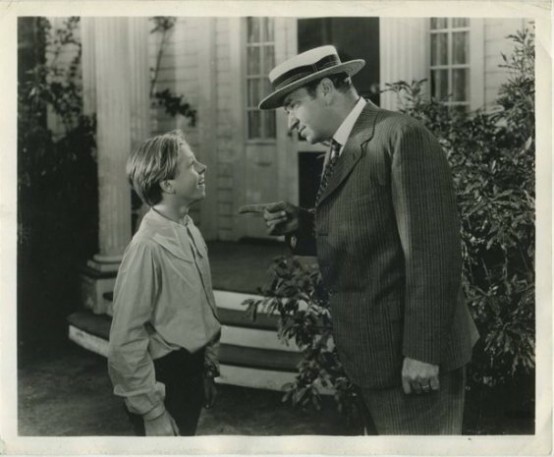 Above: Mickey Rooney and Wallace Beery in Ah, Wilderness! Tuesday, January 13, 8:30 am - Double Wedding (1937) - I wrote about this one back in 2010, and while that post could certainly use a polish, I still find this the funniest of William Powell and Myrna Loy’s non-Thin Man teamings. Powell’s Bohemian artist cracks me up every time I watch. Tuesday, January 13, - 4:30 am - Hell’s Highway (1932) - Hard-hitting prison chain gang film from director Rowland Brown and starring Richard Dix. The ending is lousy, but everything but that final minute is just as gritty as the better known Chain Gang movie, the one starring Paul Muni, which this movie actually beat to the theaters. 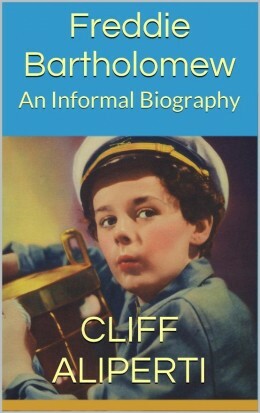 I posted about it on the site HERE but went into more detail in my eBook , where I detail the real-life incident that the film was based upon. It was a pleasant surprise to see Martin Scorsese devote his entire “Scorsese Screens” column in the January issue of Now Playing to this title. Tuesday, January 20, 1:00 pm - Bright Leaf (1950) - Historical film about the rise of tobacco manufacture. Interesting to see Gary Cooper in such an unlikable leading role. With Patricia Neal, Lauren Bacall, and Jack Carson. Directed by Michael Curtiz. Playing as part of a daytime birthday marathon for Patricia Neal (1926-2010). Tuesday, January 27, 10:45 am - Eyes in the Night (1942) - Exciting “B” mystery starring Edward Arnold as a blind detective. Arnold was said to take a special interest in this title because his own father was blind the last several years of his life. Also starring Ann Harding and young Donna Reed. Directed by Fred Zinnemann. TCM is really making me dig deep into my archives this month, here’s my write-up from 2009. Playing as part of a daytime Donna Reed (1921-1986) birthday marathon. Wednesday, January 28, 10:00 am - The Ghost Ship (1943) - A bit of a back-handed recommendation because I think this one plays as cheap as it looks with several poor performances and a lackluster pace, but it does include an excellent and important performance by its star, Richard Dix. I tend to think it’s overrated because of all of the hype around producer Val Lewton, but I’ll qualify that statement by adding I don’t really care for most of Lewton’s films. I know I’m in the minority there, so if you disagree, you’ll probably enjoy The Ghost Ship more than I did. I’ll take Dix in a Whistler entry over this any day, but I’m still enough of a fan of the actor to tune in when this one plays. If you generally like my tastes in movies, then I think these are going to be winners for you. Same notes as above, Eastern time, with days beginning at 6 am. 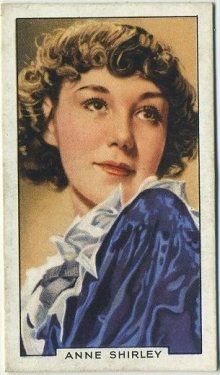 Saturday, January 3, 9:00 am - Anne of Green Gables (1934) - Dawn O’Day takes the screen name Anne Shirley to play Anne Shirley, but beyond the fun trivia, the young actress gives an excellent performance in this entertaining adaptation. O.P Heggie and Helen Westley are excellent as the elderly adoptive couple. Great family movie. Wednesday, January 7, 10:45 pm - Crime and Punishment (1935) - Josef von Sternberg adaptation of the Dostoevsky classic starring Peter Lorre. I think you’ll be surprised by how well acted this is. Probably less surprising, given the source material and the director, it’s also a much darker film than we’re used to seeing from this time. Best performance of Marian Marsh’s career. Frdiay, January 9, 11:00 am - Too Much, Too Soon (1958) - It’s hard to resist Errol Flynn playing John Barrymore, though the movie becomes more of an effort to watch once Flynn exits. 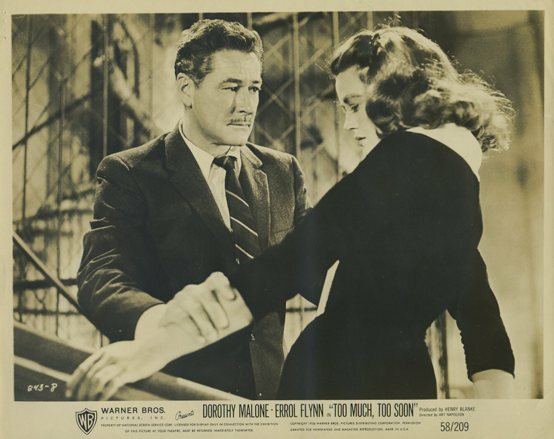 Dorothy Malone stars as Diana Barrymore. Ray Danton is enough of a sleaze to bring some extra kitsch value to the post-Flynn sections. Saturday, January 10, 6:00 am - For the Defense (1930) - Another entry from my pre-Code eBook , actually one of the two exclusive chapters that are not reviewed anywhere on the site (Only Yesterday being the other). 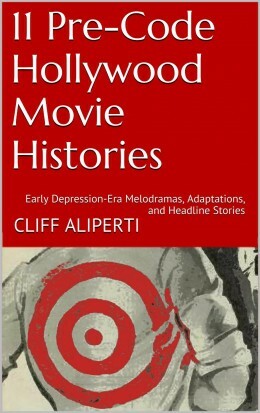 There was a big cycle of films based on the exploits of real-life “Great Mouthpiece” William J. Fallon in 1932, after publication of Gene Fowler’s biography. This film predates both that movie cycle and the Fowler book. Co-stars Kay Francis and directed by the underrated John Cromwell. 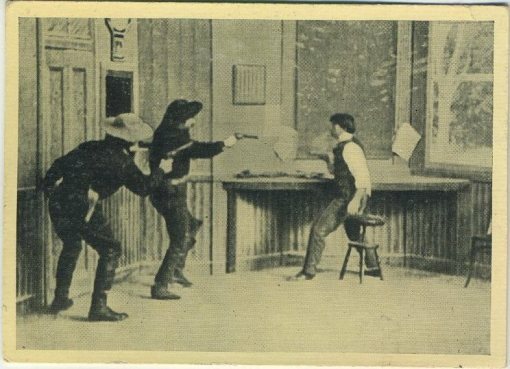 Thursday, January 15, 5:15 am - The Great Train Robbery (1903) - I don’t care if you squirm and get distracted during silent movies, I’m only asking you to give over 11 minutes of your time to this one! Yet another landmark, the Edwin S. Porter film manages to tell a complete story which, thanks to its brief running time, never slows for a moment. Closes with one of the most iconic images in film history. A reminder about the time it plays—remember, this is really very early Friday morning for East Coasters such as myself. Saturday, January 17, 8:45 am - On Borrowed Time (1939) - If I enjoy anything more than watching Lionel Barrymore play an elderly crank for 99 minutes, it’s spending that same amount of time watching little Bobs Watson sob. Nobody ever cried better than this kid. He’s the most pathetic child star in screen history, and I absolutely intend that as a compliment. Anyway, death in the form of Sir Cedric Hardwicke comes to claim Lionel, so Gramps and young Pud trap him up a tree and the cat and mouse begins. An entertaining film that’s both humorous and touching while tackling an uncomfortable subject from a unique angle. Also features Beulah Bondi, plus a couple of character actors I’ve covered in detail on the site before, Una Merkel and Grant Mitchell. Saturday, January 24, 8:15 am - Boom Town (1940) - Tracks the ups and downs of Clark Gable and Spencer Tracy in the oil business. They start out so low that they have to swindle their materials from Frank Morgan, but from there we follow on their eventual rise to powerful industrialists. Claudette Colbert is the woman who comes between them, yet also keeps them coming back to one another. Hedy Lamarr also on the scene to distract Gable from Colbert. A bit long at just under two hours, but it flies by. Tuesday, January 6, 10:15 am - The Ruling Voice (1931), another one playing on Loretta Young day. Stars Walter Huston. Directed by Rowland V. Lee. Tuesday, January 13, 11:30 am - Three Loves Has Nancy (1938) starring Janet Gaynor, Robert Montgomery, and Franchot Tone. Directed by Richard Thorpe. Wednesday, January 14, 8:00 pm - The Lady from Shanghai (1948), starring Rita Hayworth and Orson Welles, directed by Welles. Saturday, January 17, 2:15 pm - Sahara (1943), starring Humphrey Bogart and directed by Zoltan Korda. 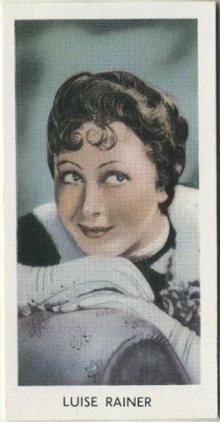 Sunday, January 18, 6:00 am - Show Boat (1936) starring Irene Dunne, Allan Jones, Paul Robeson. Directed by James Whale. Friday, January 23, 9:00 am - Arizona (1940) starring William Holden, Jean Arthur, and Warren William. Directed by Wesley Ruggles. 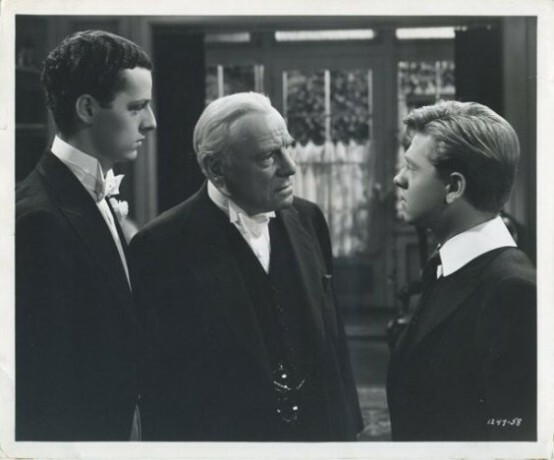 Tuesday, January 27, 4:45 pm - A Yank at Eton (1942) starring Mickey Rooney, Freddie Bartholomew, Ian Hunter. Directed by Norman Taurog. 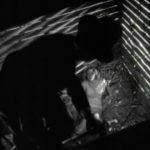 Wednesday, January 28, 12:45 pm - Dead of Night (1945) starring Mervyn Johns, Roland Culver, Michael Redgrave. Horror anthology with multiple directors. Thursday, January 29, 8:15 am - The Mystery of Mr. X (1934) starring Robert Montgomery, Elizabeth Allan, and Lewis Stone. Directed by Edgar Selwyn. Saturday, January 31, 6:15 am - Madame Curie (1943) starring Greer Garson and Walter Pidgeon. Directed by Mervyn Leroy. Here's the round-up of January previews from other classic movie bloggers at the Speakeasy. “31 Days of Oscar” begins on TCM February 1. I may skip a preview, as long-time readers know this is far from my favorite month on the TCM calendar. Beyond my prejudice against any abundance of more recent classics on the channel, February typically features the same titles shuffled into a new order. If you enjoy images of the old cards and collectibles, such as those illustrating this page, then you may want to give my Facebook page another look. I’ve been posting 10-16 different images per day to the Immortal Ephemera Facebook stream for several weeks now. I’ve been hesitant to push it, just in case I abandoned the idea, but I haven’t missed a day since beginning on November 15, so I thought it was time to share. Just click the "Like" button once you get over there and Facebook will show you whatever they decide to show you based on whatever their current policy may be. I’ll be back next week with something new, likely a review, maybe an author interview that I'm expecting soon. Lots of highlights in January. I’m so happy to get “Goodbye Again” back in my life. Our Warren cracks me up! Seeing “Arizona” when I was a kid was my introduction to Mr. William and his Cateret is so nasty that I hated him on sight for years. Oh, the wasted years! How do you do this? I agonize over my one! Oh, it would be so much harder to pick just one! Much easier to page through the guide and mention any that strike a chord that particular night. Two Warren movies I haven’t covered on my Warren William site yet, and not because I don’t like them. To be honest though, I haven’t seen Arizona in years, I may have to pop in my copy before TCM plays it. Can’t cast Warren any better in a Western than sticking a black hat on him! I just marked Ah, Wilderness based on your recommend, and what kind of a Canadian am I, that I’ve never seen this version of Anne of Green Gables?! Don’t tell anyone, they might revoke my citizenship. I know I’ve seen Svengali but hardly recall it, so long ago, and now that I’ve “discovered” Marian Marsh I’ll be eagerly recording all her movies this month. Always get a handful of new things to look for after reading your previews, and thanks as always for the link. I just caught Anne of Green Gables last year, and really enjoyed it. Svengali moves a bit slow, but includes several beautiful shots, most winding up in Barrymore’s menacing stare. My favorite Marian Marsh titles are Beauty and the Boss, which isn’t on this month, but I know you’ve seen, and Crime and Punishment, mentioned above because it is on. She’s so young, cute, and perky in her earlier movies, that it’s hard not to fall in love with her, but she’s actually giving a performance and C&P, and it’s a fine one! Sure thing–just updated that link to head directly to your January round-up. Thanks! 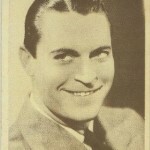 HEYY if you get GETV they going show Boston Blackie movies with pre code fav Chester Morris start this past New year day I was watching LOL! Yeah advantage of living in Los Angeles market no NFL team yet you get Gettv and rarely seen movies LOL! Yeah call me insensitive b**** LOL! Still no GetTV here, but I it’s great that there’s a place to play all of those awesome ’40s series from Columbia. Moran plays a woman with a shady past who is being blackmailed by Varconi as she makes plans to marry a senator’s son. 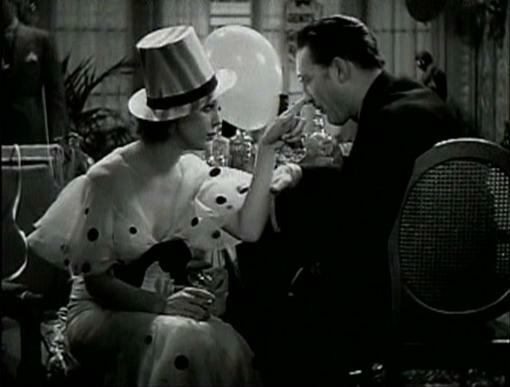 She meets and becomes friendly with bootlegger Bickford, who offers to put a stop to Varconi’s scheming. His methods are a little strong as he ends up killing the count and goes on trial for murder. Now I’m envious. Haven’t seen that one, and it looks pretty rare. Plus I’ve really been getting into Charles Bickford lately, I always think of him as “the toughest SOB on any screen.” Just watched him blustering back and forth with Charles Laughton earlier tonight in White Woman (1933). I’m with you, February is my least favorite. Give me the pre code and late 30s. It’s great for the channel, as I’m sure it draws in new viewers, but yeah, I usually use February to catch up on other movies I’ve recorded. Will probably skip the normal preview and try to post an extra review instead. TCM says it's Robert Redford month, but my highlights point to birthday celebrations for Loretta Young and the recently departed Luise Rainer. Plus evening marathons featuring Jean Arthur and John Barrymore and several favorite individual entries throughout the month, such as my Pick of the Month Employees' Entrance and underrated Chain Gang shocker Hell's Highway.